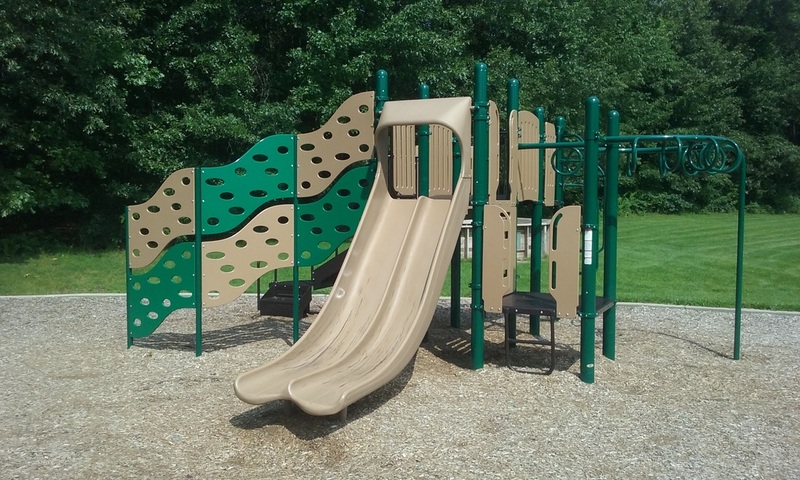 The Pine Ridge PTO organizes fundraisers and events to help raise funds for things like playground equipment, media center needs, technology, and many other tools to further enhance our children's educational experience. PTO Committee information is listed below. All chairperson contact information is listed below. ​If you are interested in chairing an available committee, please contact Nicole Nooordyke, nnoordyke@gmail.com​. Mr. Donohoe needs help in the art room a couple times per month. Tasks include taking down and hanging up art work around the school or preparing materials, such as cutting paper, filling glue bottles, etc. ​This committee will help Mr. Donohoe organize a Pine Ridge Art Prize submission for 2019. The PTO holds an Auction every other year. It is the biggest most important fundraiser of the year! The event is a fun, adult night out with a live auction, silent auction, games and more. It is also a chance to enjoy the company of your fellow Pine Ridge parents while raising money for the school. The next auction will be held during the 2019-20 school year. If you love to plan events, this is the committee for you! There are lots of ways to help out on this committee, from Decorations to Venue to helping the night of the event. The Scholastic Book Fair is held for one week in the Fall and one week in the Spring. Students, teachers and parents can come and shop their favorite book titles, posters and more! We will need volunteers throughout the week to help kids pick out books and ring up transactions. The Book Swap is a fun way to showcase a unique method of promoting recycling and reading at Pine Ridge. Students bring in gently used K-4th grade level books and receive a ticket for each book they turn in. They use the tickets on "shopping days" to purchase "new" books. Volunteers are needed to sort books, set up/clean up tables and to help kids pick out books. Box Tops is an ongoing fundraiser that can significantly benefit Pine Ridge. This committee meets a few times a year in the PR Media Center to cut, count and organize all the Box Tops collected throughout the year. If you are creative, this is the committee for you! We need help keeping the many bulletin boards and display cases throughout the school up-to-date during the year. There is a new supply of letters and borders for you to choose from if you like. We also have a new sign up where you can be the artist behind your child's birthday month bulletin board that is on display across from the cafeteria! The Care Chain was developed to reach out and support Pine Ridge families or staff in times of crisis, such as the loss of a loved one, serious illness, or unexpected tragedy. It can be difficult to focus on day-to-day needs during times of hardship. The Care Chain coordinates meals and offers other helpful services to assist during difficult times. If you are aware of a family that would benefit from Care Chain, please contact Lisa Meny at lisameny@ferris.edu. The Pine Ridge Carnival is held annually and is one of the bigger fundraisers of the year. It promises to be a fun-filled day with games, snacks, prizes and lots of smiles! We need LOTS of help to make this event a success, as PR is the only school that runs their Carnival with ALL VOLUNTEERS! We need help running games, parents are needed to staff the Prize Redemption Center, and we need help setting up the day before and cleaning up the day of the event. If you have high school kids, this is the perfect opportunity for them to log in those volunteer hours! The Cultural Arts Committee's mission is to bring authors, illustrators, artists and other cultural experiences to all the students at PR to enhance their curriculum. There are various events throughout the school year planned for each grade. This chairperson is responsible for keeping the PTO Facebook page up-to-date and posting any relevant news and information for group members. If you would like to be added to the Pine Ridge PTO Facebook Group, please contact our chairperson. Pine Ridge students and families love to play! We plan events throughout the year including GR Gymnastics over winter break, catching a Griffins or Whitecaps game with other PR families, and more! Some of these are fundraisers, and others are just for fun! We are looking a chair who would work with the individual activity contacts on their event and come up with even more fun ideas for PR families! This chairperson helps the office staff keep the lost and found organized and helps arrange donation opportunities for the unclaimed items! Organizes celebration chairpersons and parent volunteers to help with each celebration. This is not an auction year, so HRPs will not have to organize a class project. Mrs. Zietz needs help during each classroom's scheduled media center time. Responsibilities include checking books in and out, shelving books, and helping kids find what they are looking for. As a PTO fundraiser, our school has teamed up with Original Works to offer a special program which allows your child's art work, created in art class, to be reproduced on a variety of high quality products such as magnets, mugs, mouse pads, tee shirts, tiles and tote bags. Parent volunteers are needed to help organize the finished artwork and distribute the completed products. The superintendent's Parent Advisory Council (PAC) meets every month to discuss ideas, concerns and experiences parents or others have within the district. The opportunity to explore issues through group discussion and with appropriate school district personnel allows parents/guardians to serve as advocates for others. A yearly tradition at Pine Ridge where Mom & Dad don't have to worry about cooking breakfast. The kids and their special someone(s) will be having breakfast at Pine Ridge! And to make it extra special, they are served by Mr. Lareau, Mr. Lloyd, Mr. Kornoely, Mr. Greer, Mr. Mainero and Mr. Donohoe! Thanks, Guys! The Ranger Rally is an annual Walk-A-Thon for the whole school. It is held every October and is one of the biggest and most important fundraisers of the year. Students collect donations in the weeks leading up to the walk. Then along with many parent volunteers, they walk through the surrounding neighborhoods to the Buttrick Street Fire Station and back. Afterwards, the kids enjoy some snacks and music until classes resume. The Spirit Wear Committee is responsible for coordinating Ranger and Pine Ridge clothing orders at the beginning of the year. Volunteers will help organize and distribute orders to the students. Here is your chance to say THANK YOU to the fabulous teachers and staff at Pine Ridge! Staff Appreciation Week is the first week in May and we will need many volunteers to show the entire staff how much we appreciate them. We will need help providing food for the luncheon and breakfast, and we will also need many hands to decorate the VIP Teacher's Lounge, Office and teacher doors. The PTO organizes dinner every night of Parent Teacher Conferences for the staff. There is a different theme every night and PR parents all come together to make a great meal! Beginning this year, we'll also be organizing lunches for several of the teacher work days scheduled on the students' half days. The Young Rangers Committee allows us to bolster our Pine Ridge school spirit and build a connection to Central High School via exposure to a variety of FHCHS events. We need a group of 4th grade parents to help coordinate the Homecoming Float for the FHCHS Homecoming Parade.